Note recognition – the skill of identifying a note that appears on the staff – is fundamental to reading music. 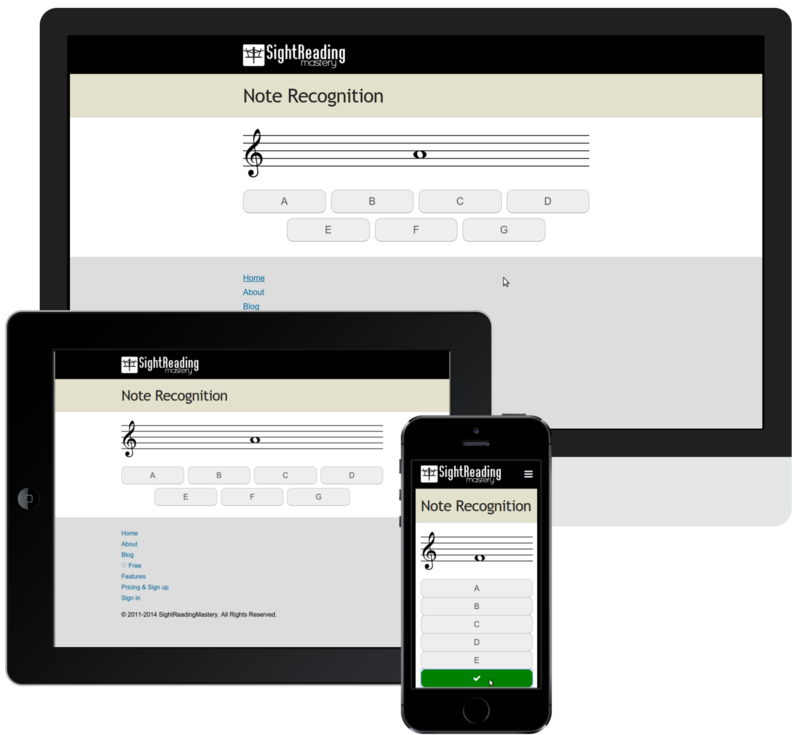 Even at advanced levels, improving the speed and accuracy of your note recognition will make you a better sight reader. The app is designed to work well on smartphones, tablets and full-size computers. So you can practice note recognition wherever it’s convenient for you. There is no support yet for bass clef (only treble) or ledger lines. Update: Treble clef, bass clef and ledger lines are all now supported! Next post: “All About That” Beat! Previous post: Violin Sight Reading Now Available!